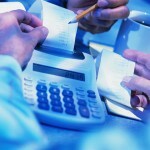 Who does the accounting in your small business? I’m worried it might be you. Do you have the time, the aptitude, the enthusiasm, the acumen? You’ve got choices then, haven’t you? Either get good at it or get someone else to do it. Having a good system for controlling the finances in your business is paramount. Do you invoice promptly and collect money owed to you efficiently? Do you do your expenses at the end of every month without fail? Do you know how to reconcile your bank account and why that’s important? Do you know how much money you have in the bank with which to keep the business running? Do you know what you owe and who owes you so you can plan your cash flow? Do you understand the difference between cash flow and profitability? If you’ve made all that profit, where is it? Can you understand the accounts of your business sufficiently to let them guide you in future to make better decisions? Do you know when the statutory deadlines are for filing your tax and VAT returns and if you are up to date with payments and returns? Would you like to know the answers to these questions and feel the ease of control at your fingertips? Much has been talked about delegating your accounts to another. Delegating is good, but abdicating is not. You will still have to work with your accountant to provide them with timely information and learn to understand what they give you back. If they are not happy to teach you or gifted at translating “accountant-speak” to a language you understand, change your accountant. One way or another you must work with someone who is helpful, as excited about your business as you are and a team player who communicates well in plain English. I favour an accountant who is proactive, who demonstrates by their behaviour that you can trust them to look after your affairs. Even with such a paragon on hand, you must – as director of your own small business – keep an eye on what they are doing and make sure your responsibilities and deadlines are met. Ask for a list of them and tick them off as you see them happen. Allow enough time for each task to be done efficiently and don’t be a last-minute merchant. Imagine if every client at every firm of accountants wanted their taxes doing on 31st January! Oops. If you care about your business being successful, I urge you to make it a priority to get a good system of financial control in place as soon as you can. I can promise it will be enlightening and liberating, in more ways than one. I also know that you will feel the freedom and that the time released can be used to better purpose by you. One client I taught to use Sage in his own businesses recently let me know how much he loves it. Those clients are very rare and you should be contracting with someone else who loves their accounting program of choice and can use it to provide really useful and exciting, regular management reports for you either monthly, quarterly or annually. Annually is the very least you can get away with. Knowledge is power. This knowledge applied in your business will turn it into a business to love, one which provides you with more profit in less time. Do you want to handle your existing finances better and get financially savvy? If you are one of those people who says “I don’t do maths”, let this be the year in which you change that – there’s still time. There’s always time to implement a good new plan. And please don’t give up if you don’t get this right first time around. That’s normal with all outsourcing, sadly. Do feel free to ask for my help and advice and, if you like, a referral to an accountant or any other vital resource for your small business success.